The Brass Key Shop has been offering locksmith services to the Bowling Green area — including Wood County — since 1981. 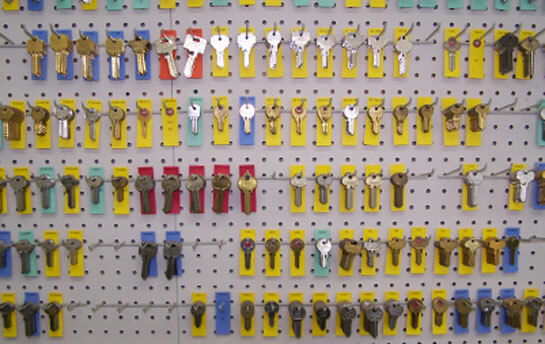 We specialize in selling, installing, and repairing locks and keys as well as designing and maintaining factory-approved master key systems. We are here for you! As Bowling Green's only full-time locksmith shop with an experienced and professional staff, you will find us ready to attend to your needs. Whether you need a new remote FOB or a motorcycle key, we can help. We fashion keys for all makes and models. Locked out of your own home? Not for long! With one quick call, we can get you back inside your house! From timed safes to master key systems, you can find everything you need to keep your business secure. Changing the locks after every tenant is just good property management practice. Choose from a wide range of locks.